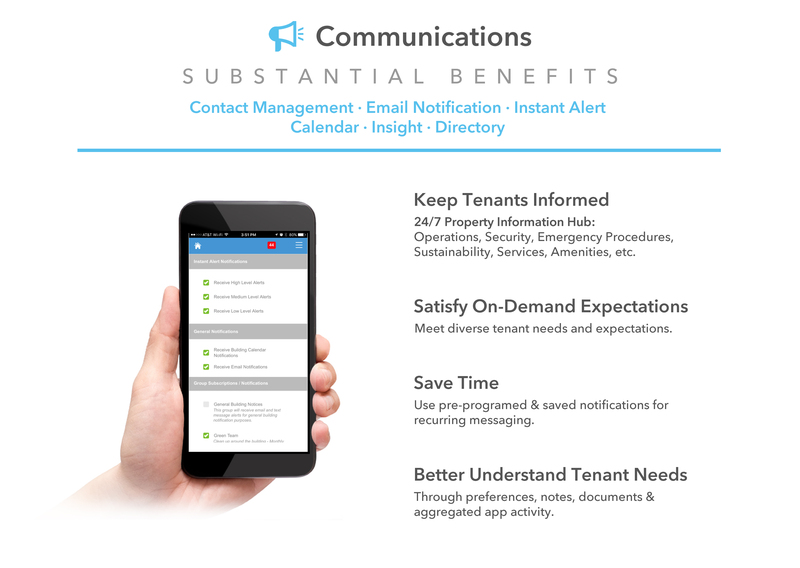 A customizable, on-line property directory providing detailed contact information for property tenants, approved vendors and other resources. 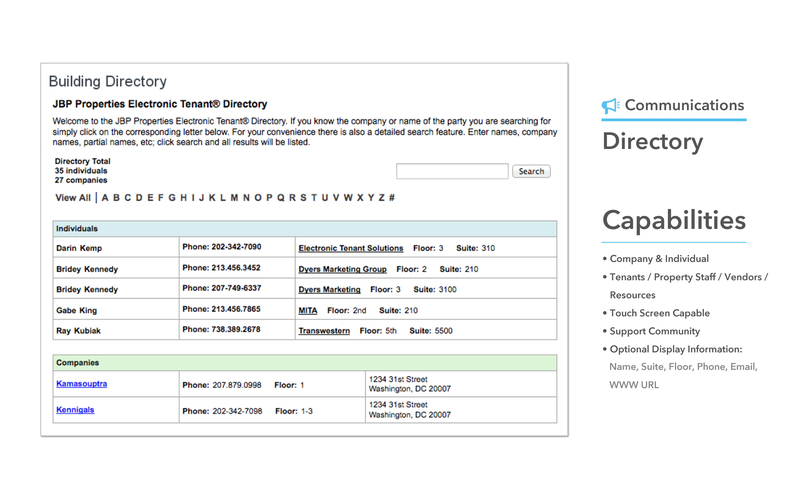 Want to learn more about our Directory app? 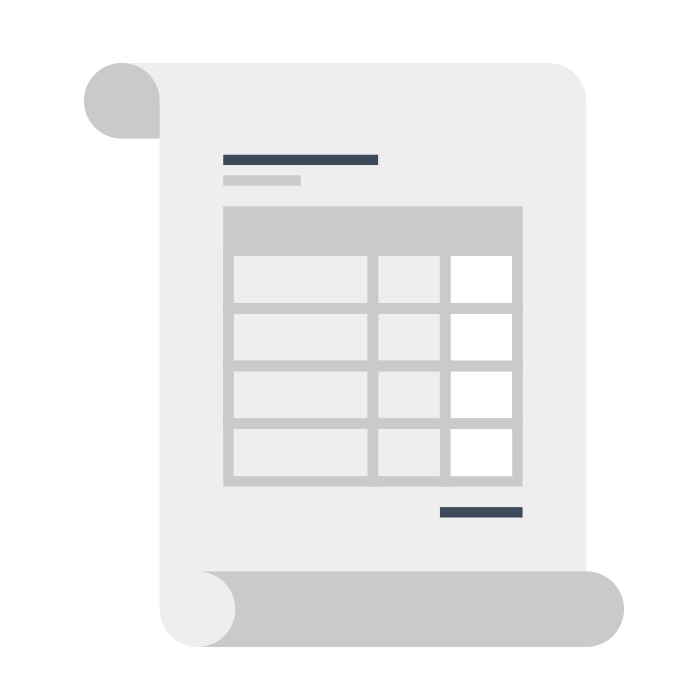 This system provides multiple display options for tenant companies and individuals within tenant companies.